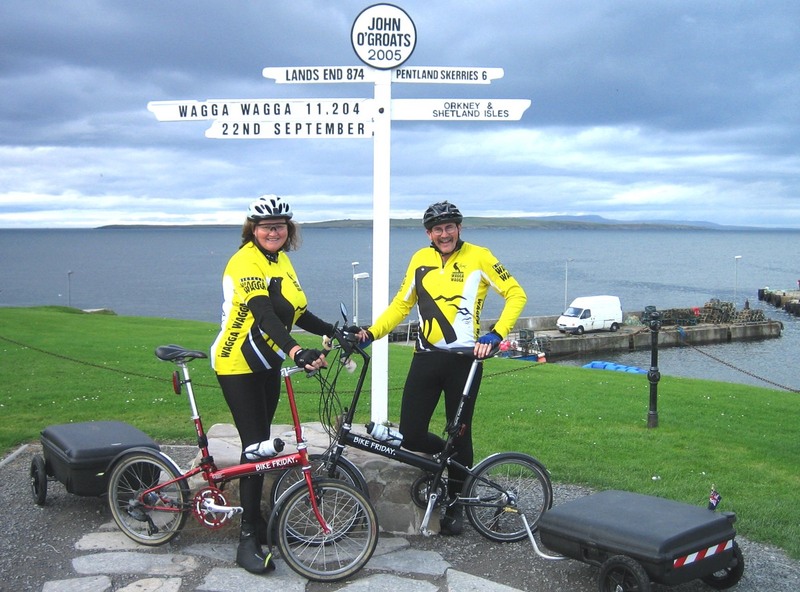 Jane and Graeme Buchan at the end of their Lands End to John O'Groats ride in the UK on 22 September 2005. The ride involves cycling 1400km from Lands End (southern point of England) to John O'Groats (northern point of Scotland). 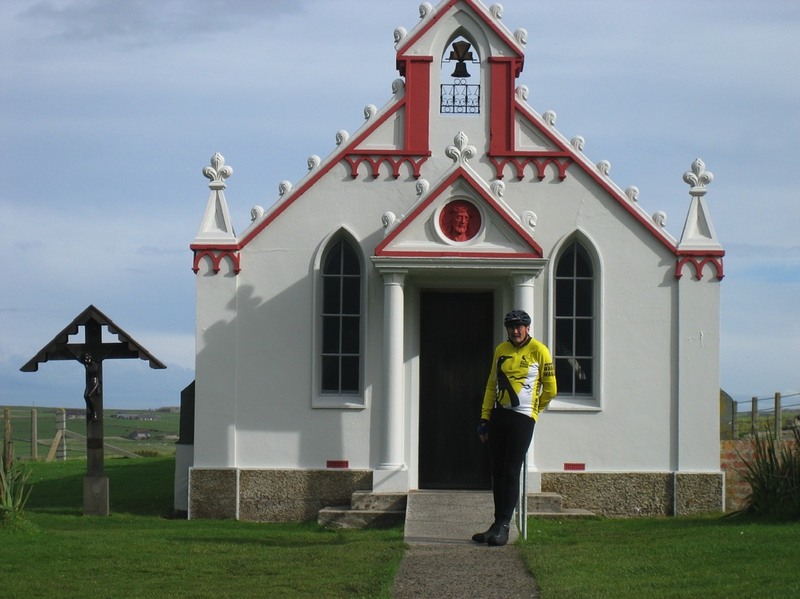 This Chapel was built by Italian Prisoners of War on Orkney Island near the "Churchill Barriers". 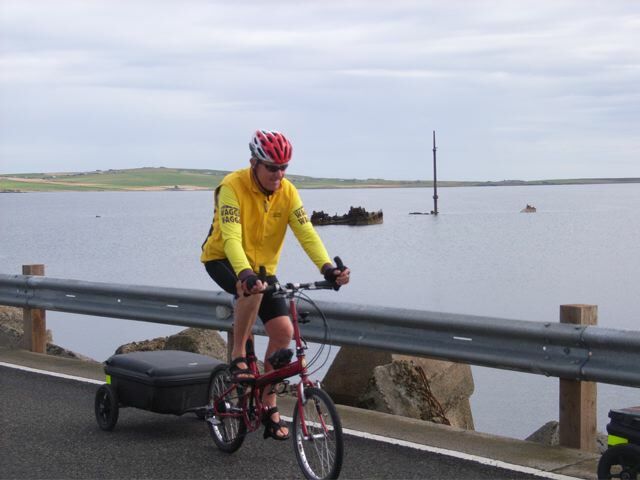 The photograph was taken of Graeme Buchan by Jane whilst cycle touring in 2005. 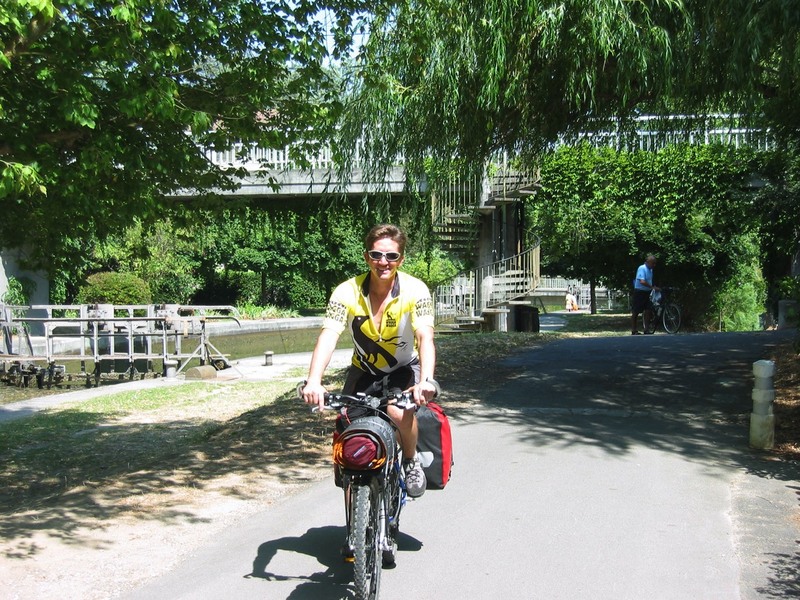 This photograph of Shayne Hackett was taken while he was cycling beside the Canal du Midi between Deyme and Castelnaudary in southern France in 2005. 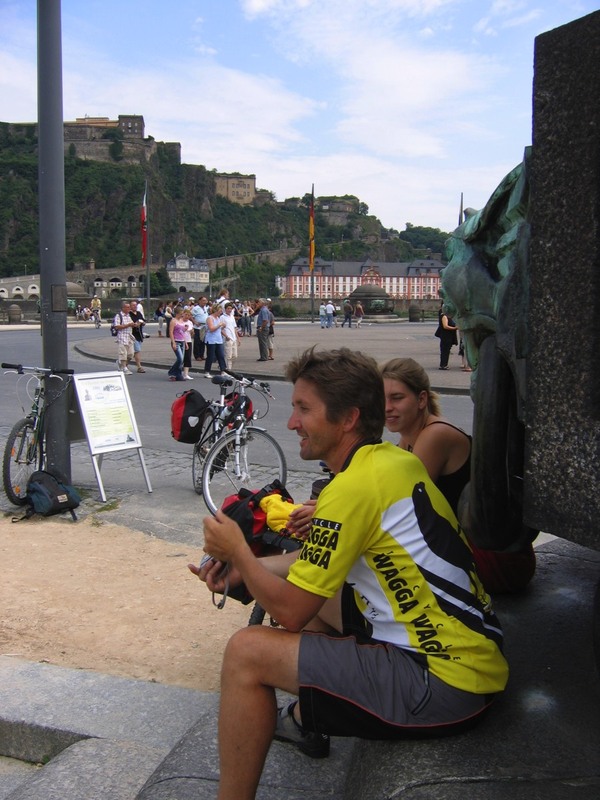 Shayne Hackett enjoys a break at the German Corner, Koblenz where the Mosel joins the Rhine in 2005. Seated beside him is another of our BWW friends, Elske Maria Schönhals, who studied at CSU in Wagga Wagga. 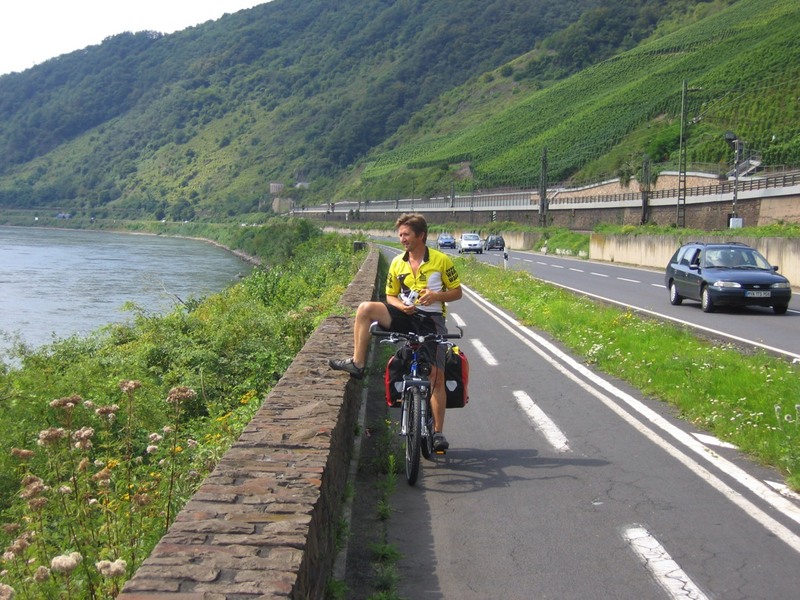 Shayne Hackett takes a breather alongside the Rhine in 2005. 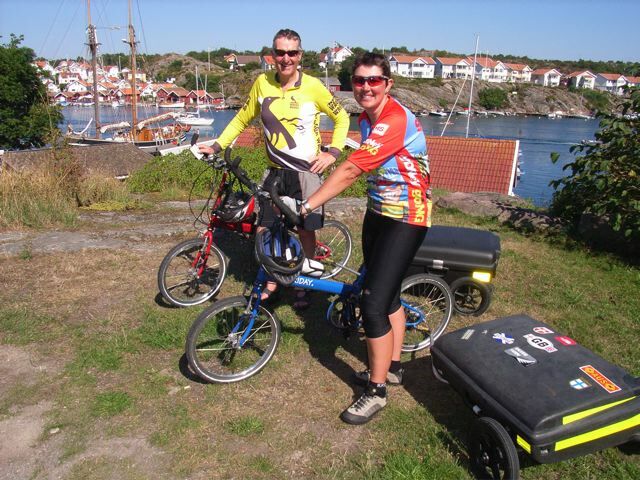 In 2006 David & Lisa Glastonbury cycled 3200km through Finland, Denmark, Sweden, Norway and Scotland. 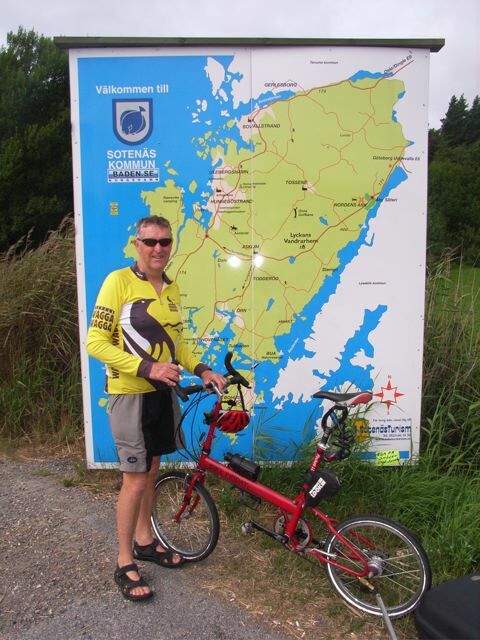 They were following the North Sea Cycle Route; a 6000km signposted route through seven countries that face the North Sea. The Cycle Route signage in Sweden is very good as is pointed out by David. 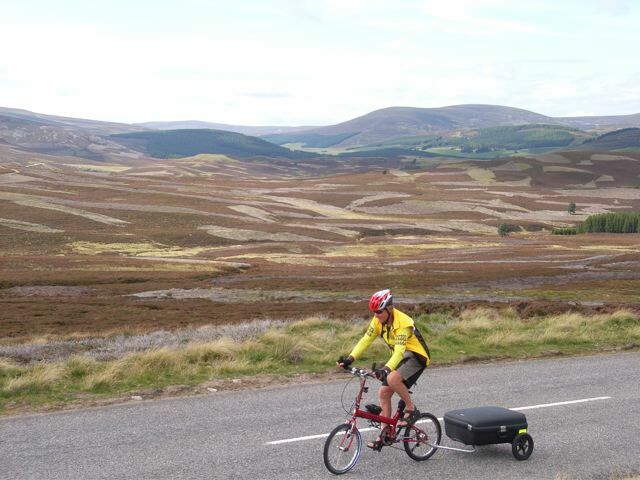 David Glastonbury cycling across the sub arctic plateau of the Cairngorm mountains in Scotland (2006). The Cairngorms are Britain's second highest mountain range and source of the pure mountain water that goes into making famous Scottish whisky. 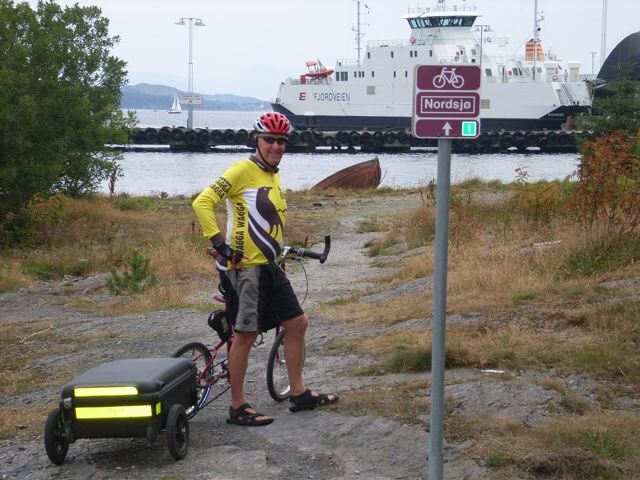 David Glastonbury about to embark on one of the ferries that allow cyclists to island hop through the Norwegian archipelago. David & Lisa Glastonbury take a breather overlooking the fishing fleet moored in the tranquil Fiskebaskil harbour. 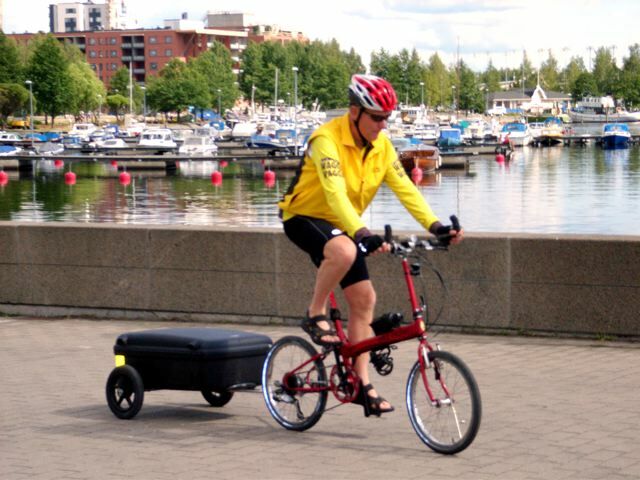 David Glastonbury cycles past Lake Jyvasarvi in the modern city of Jyvaskyla, Central Finland. 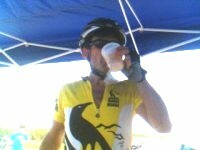 John Barton enjoys a drink in the Beer Barn 97 miles into the 2007 Hotter'n Hell 100-mile ride in Texas. The event attracts 12,000 riders. David Glastonbury rolls along. These causeways of concrete blocks link the southern Orkney islands and were built across the channels of Scapa Flow during WWII to prevent enemy warships from attacking the British Fleet in their home harbour. 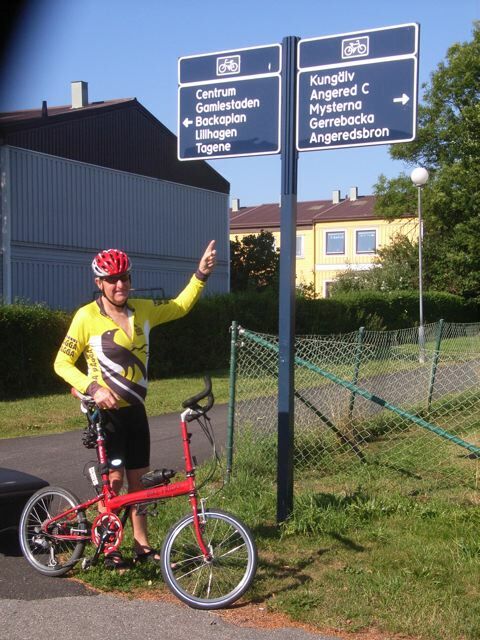 David Glastonbury poses in front of the signage that ensures you don’t get lost in Sweden. John Barton sports his BWW jersey with the Big Dam Bridge in the background. It's the longest bicycle/pedestrian bridge in North America, connecting bike trails in the cities of Little Rock and North Little Rock, in Arkansas. The Big Dam Bridge 100 is an annual Little Rock, Arkansas cycling event that celebrates the “Big Dam Bridge” over the Arkansas River. In 2017 the event attracted nearly 3,000 cyclists from around the nation and multiple countries around the world. For more detail see: http://bigdambridge.org. André Maran was an Exchange Student in Wagga Wagga for 12 months. As a farewell present his hosts purchased a BWW jersey for him. 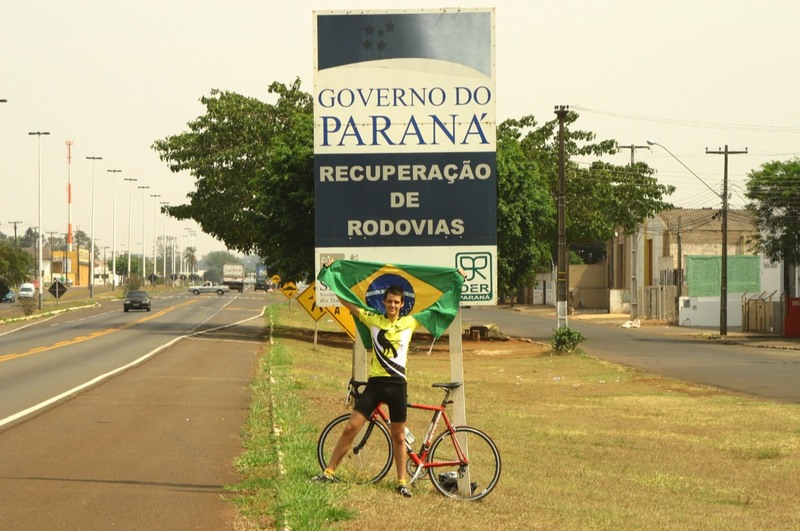 Here André poses in front of a sign in Brazil in 2007. 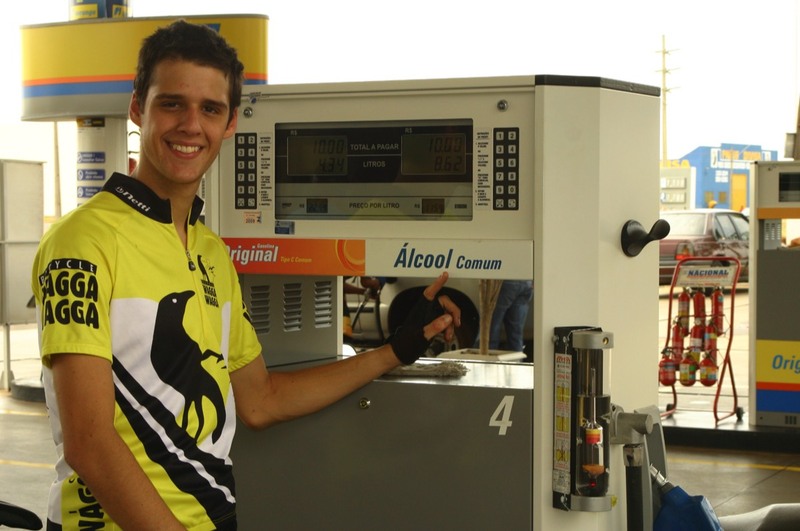 André Maran poses beside an Ethanol Pump at a fuel station. Brazil is the number 1 Ethanol producer in the world, leading to a great number of cars in Brazil using only this fuel. 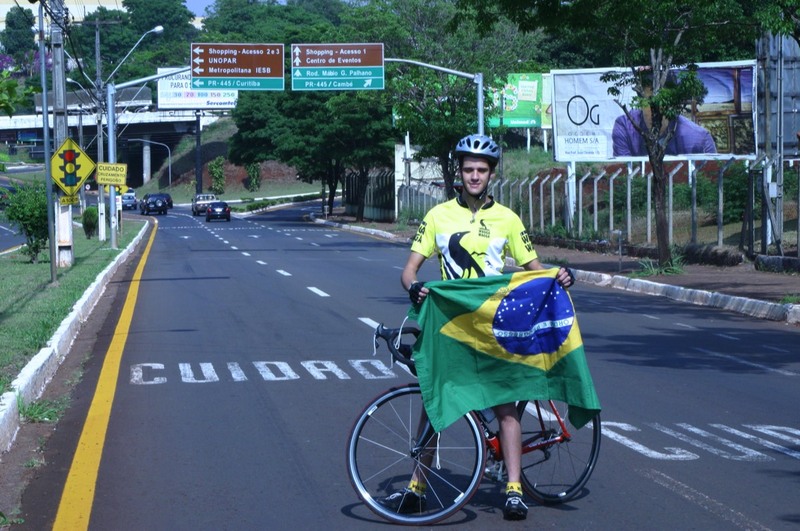 André Maran with his BWW jersey riding in another part of Brazil. André Maran poses in front of his city's sign. 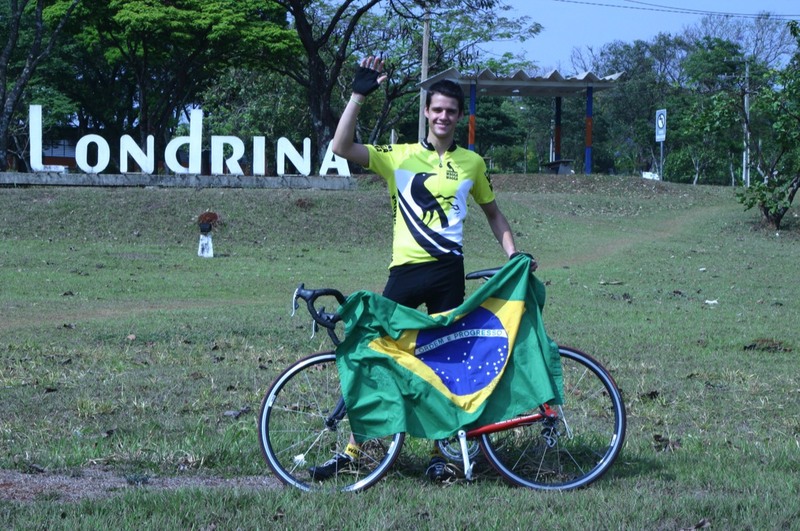 Londrina is located in the northern region of the state of the Paraná, and is 369km away from the state capital, Curitiba. Londrina has approximately 500,000 inhabitants, being the second largest city of Paraná and the third largest city of the South Region of Brazil. An early Northern Hemisphere spring day in February 2008 showing Barbara Robertson back home in Canada. 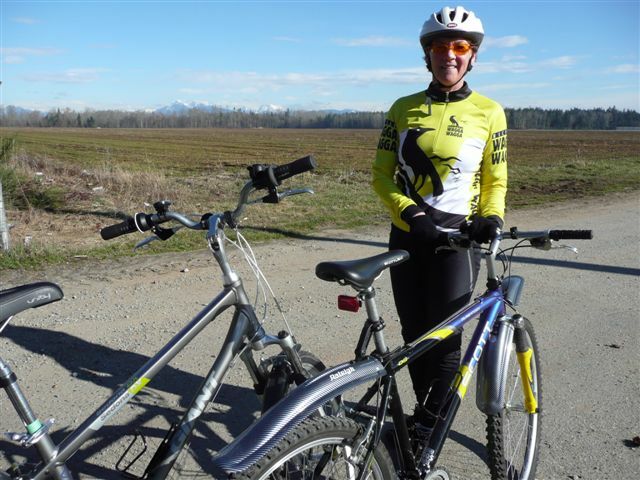 The photo was taken near the Golden Ears Mountains which can be seen in the background. Barbara and Brian Anderson spent 12 months in Wagga Wagga before returning to their homeland.